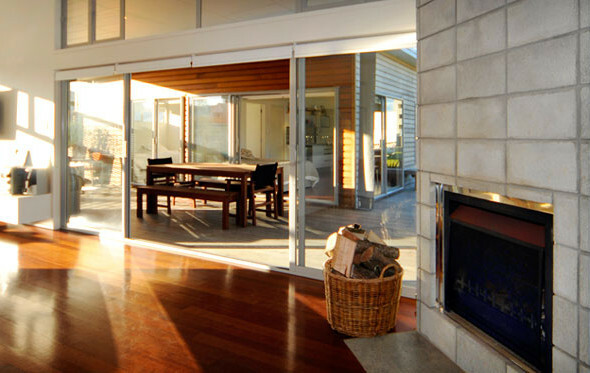 Much more than a home! 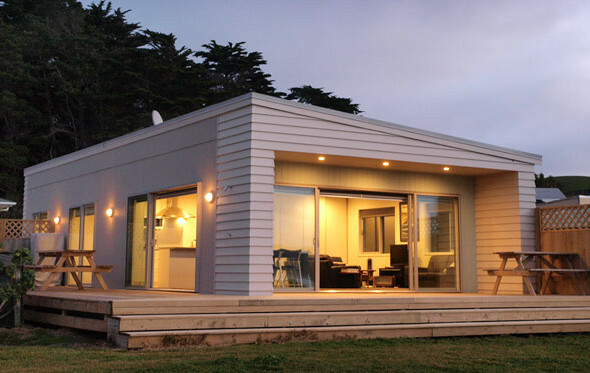 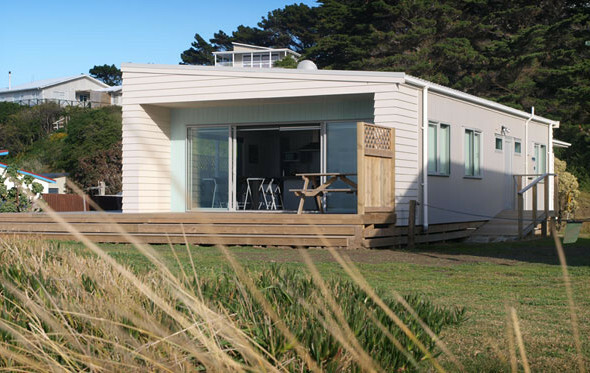 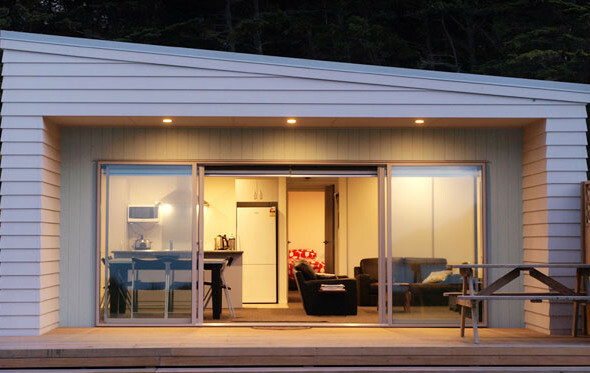 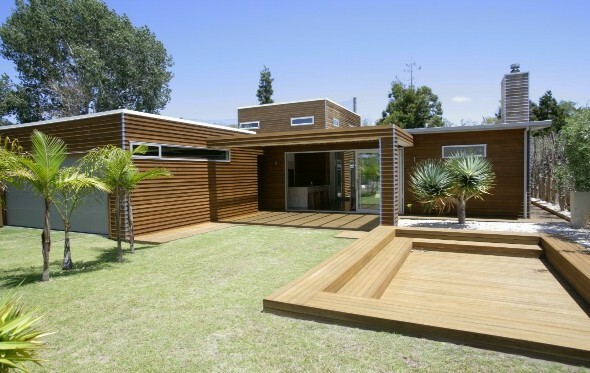 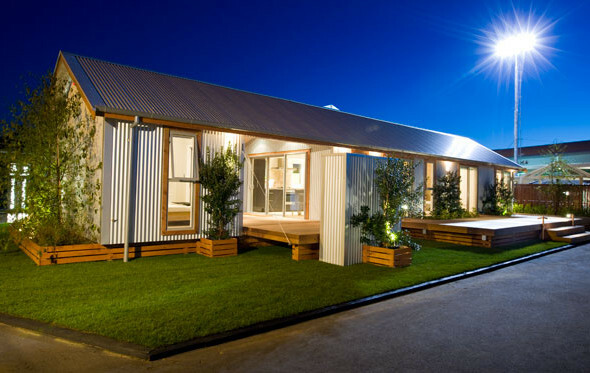 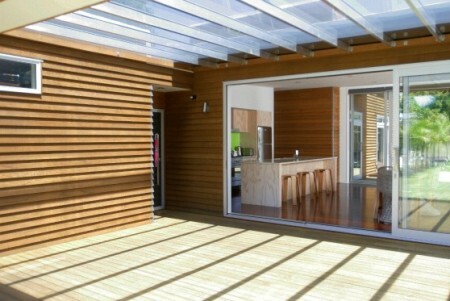 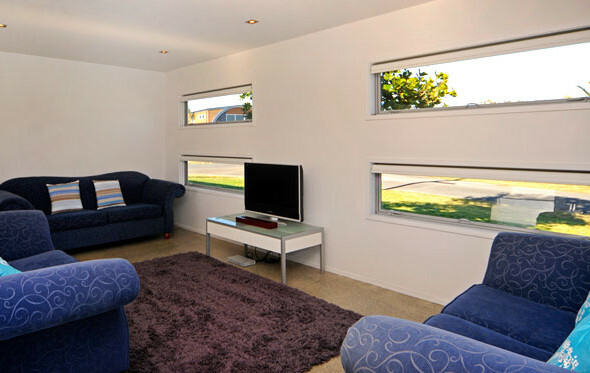 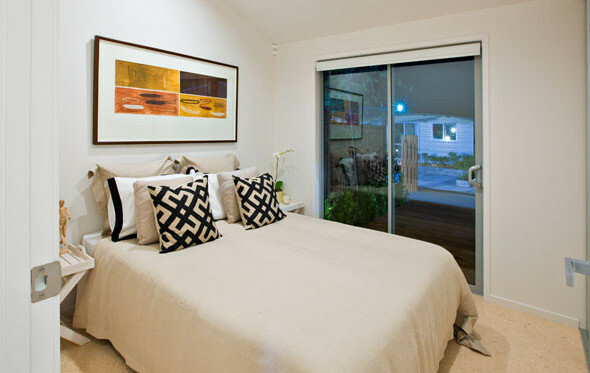 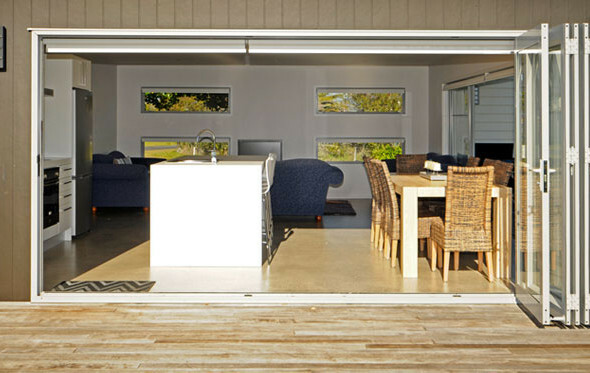 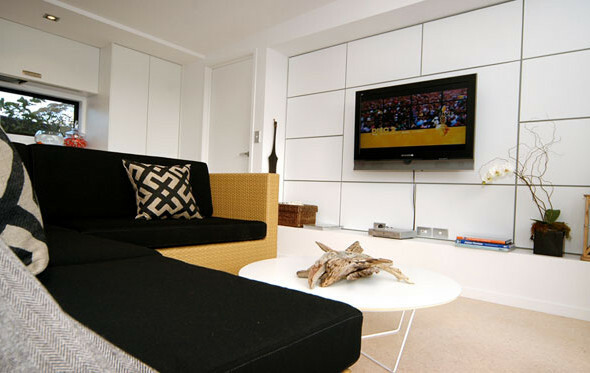 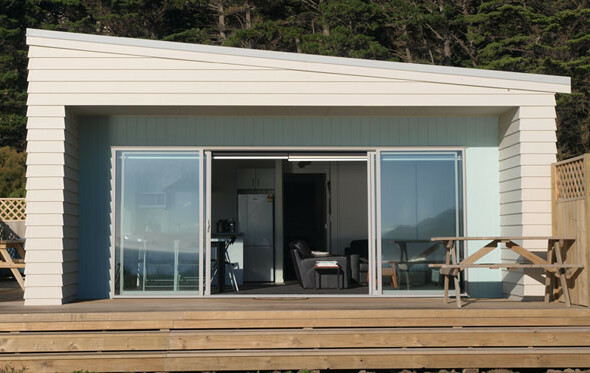 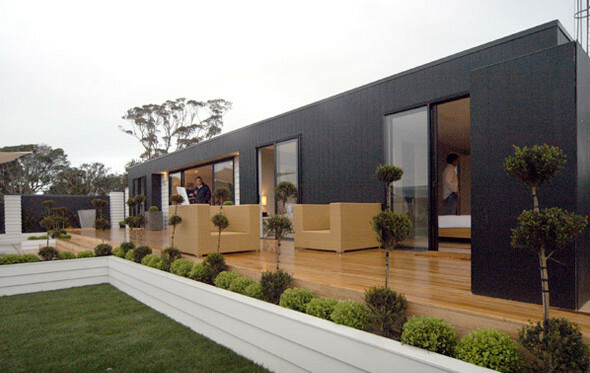 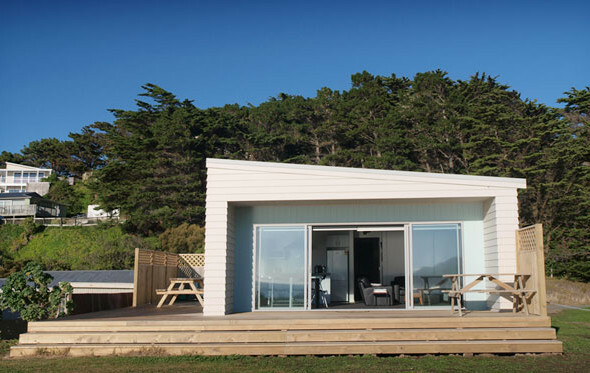 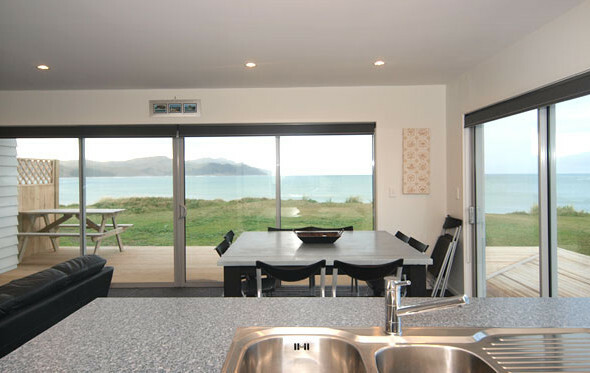 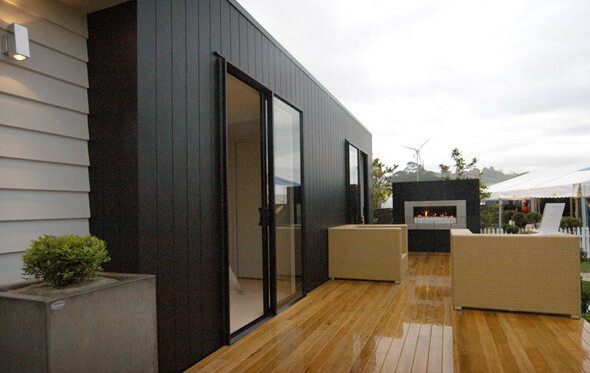 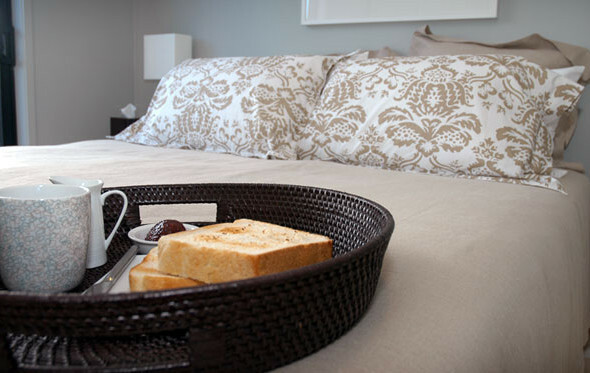 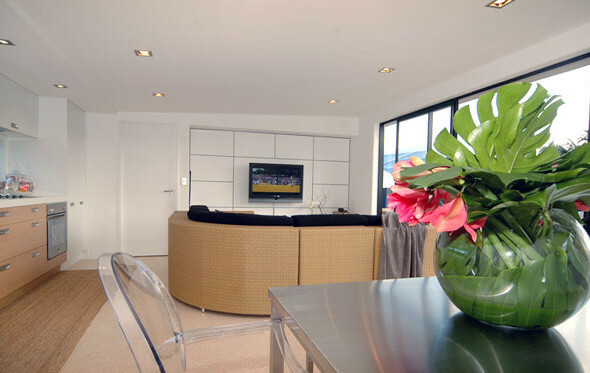 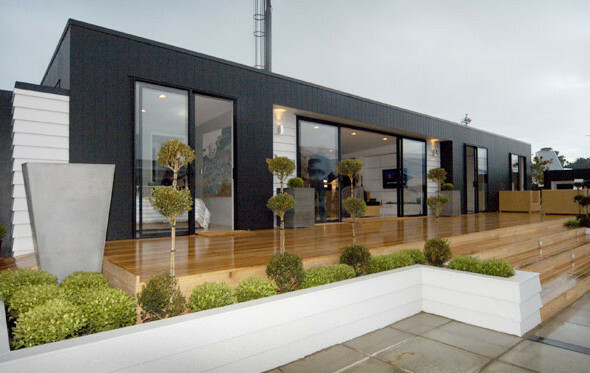 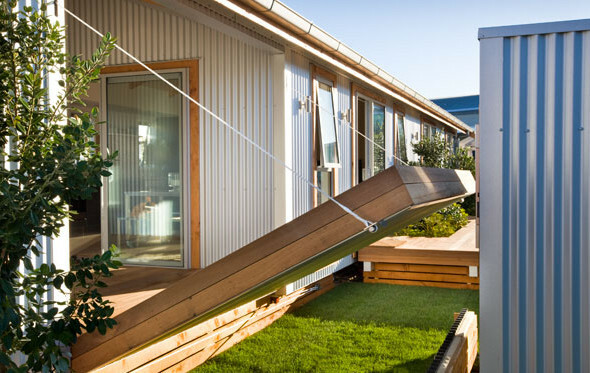 Ideal for coastal living and first homeowners, Haven’s Cube is designed around the central living/dining/kitchen area. 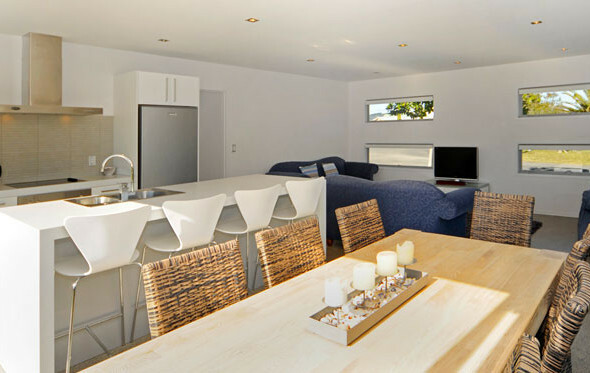 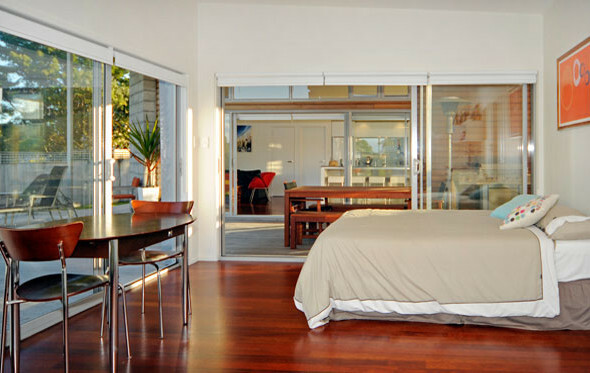 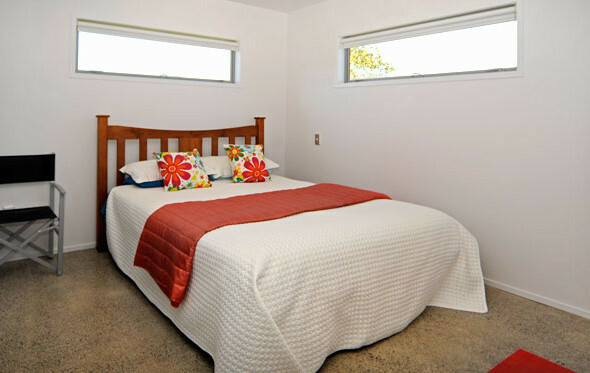 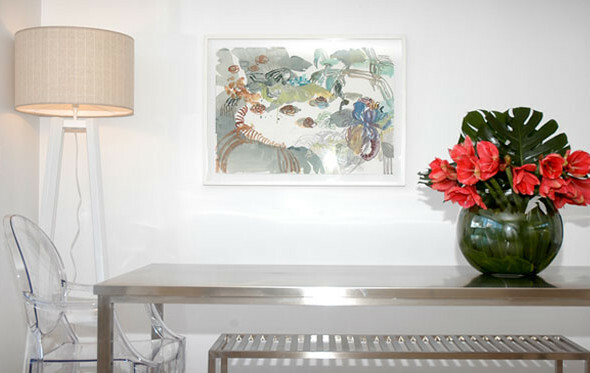 Inside, hard-wearing blonded Strandboard floors are teamed with crisp white interior walls. 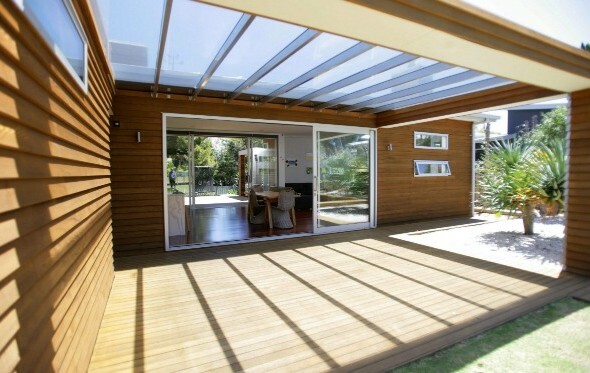 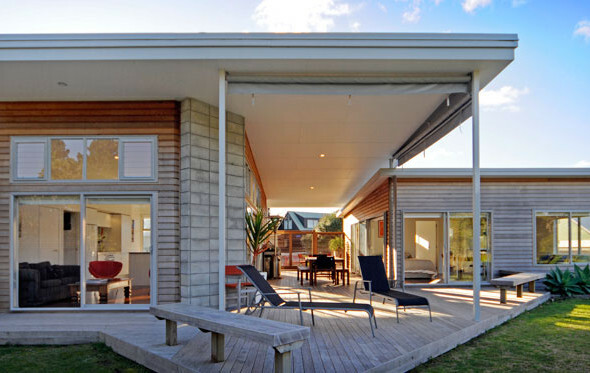 Large double glass sliders open the entire living area out to the deck. 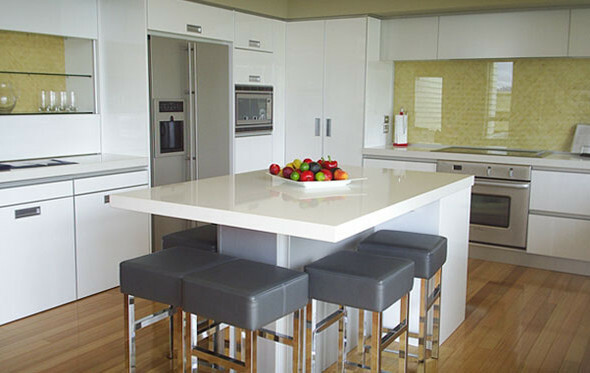 Blonde timber and clean white work beautifully together in the sleek kitchen. 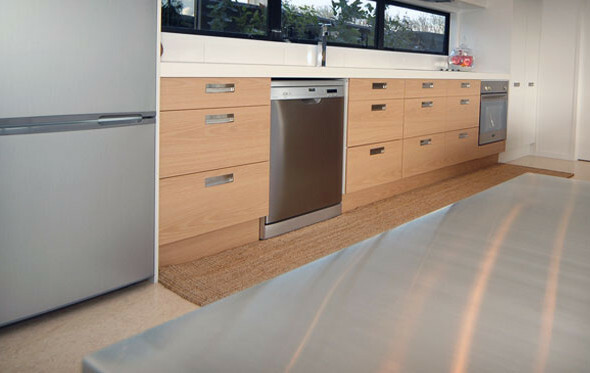 Efficient use of space means storage plus, with banks of storage above and below the work surface, as well as a floor to ceiling pantry. 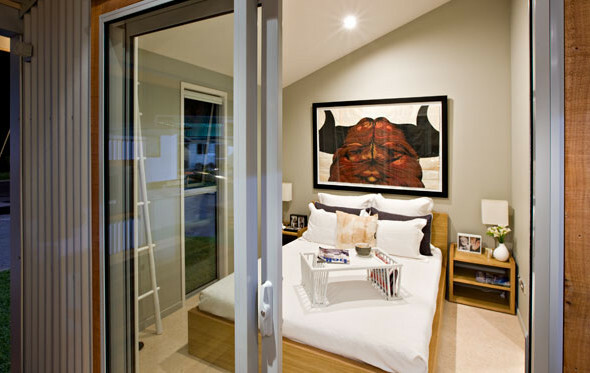 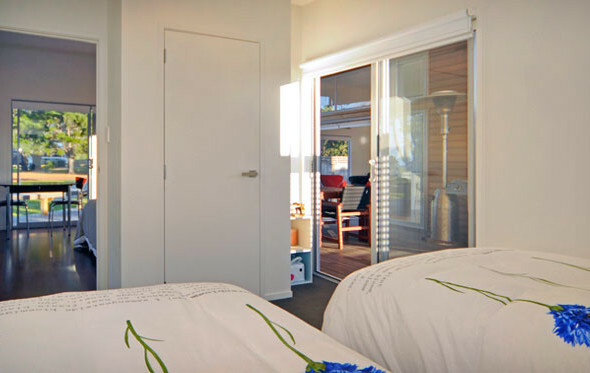 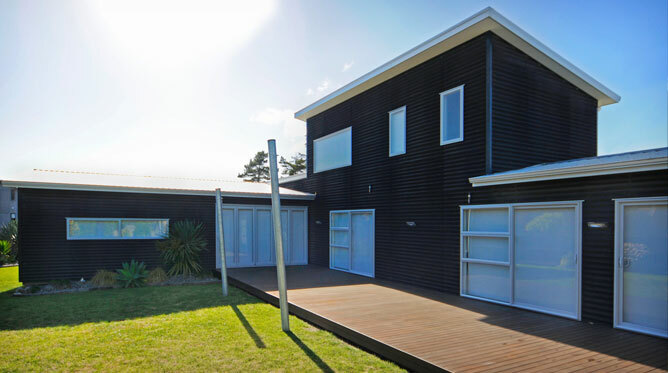 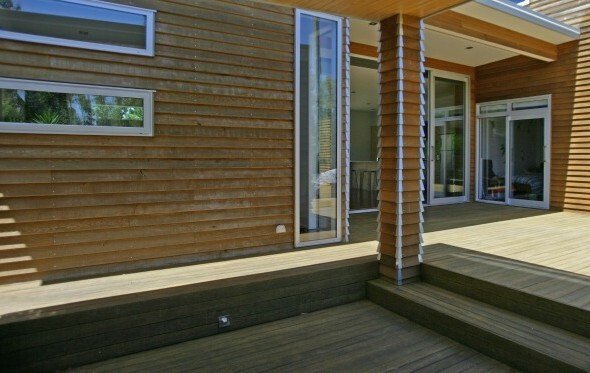 All three double bedrooms open out on to the main deck via separate glass sliding doors. 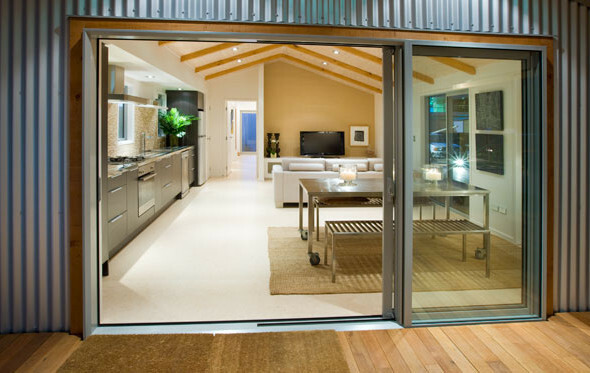 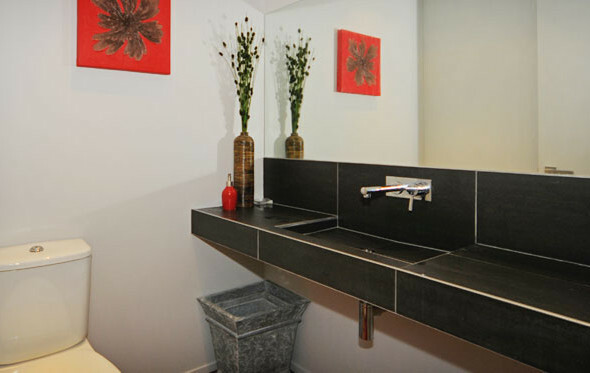 The hallway, laundry and toilet are clad in durable Hardigroove, adding visual interest to these areas. 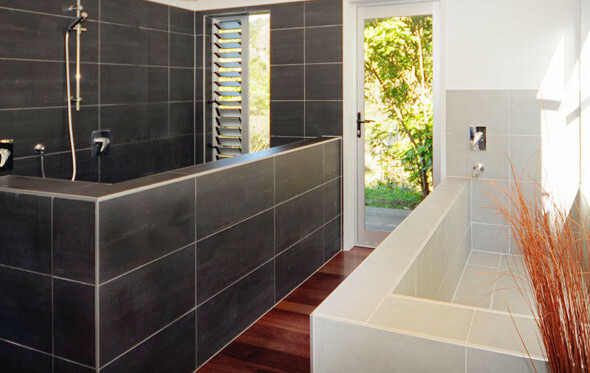 The bathroom and shower are lined with Hardiglaze from floor to ceiling, giving an easy to clean and crisp modern finish. 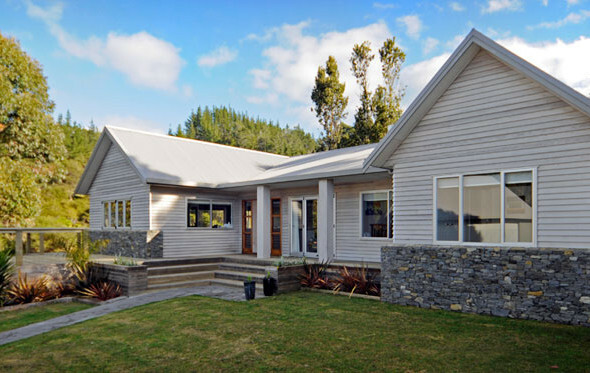 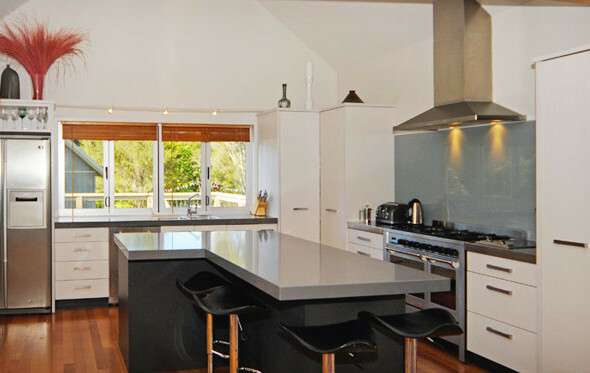 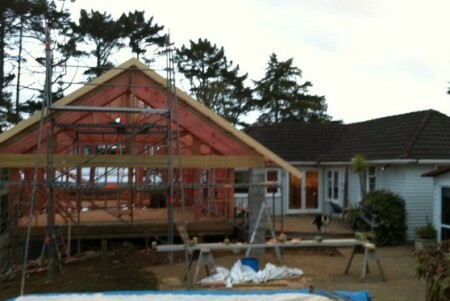 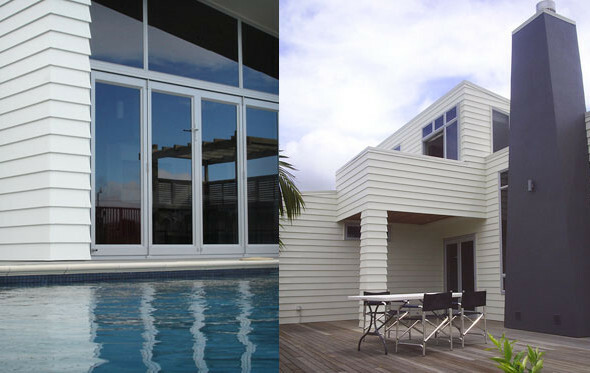 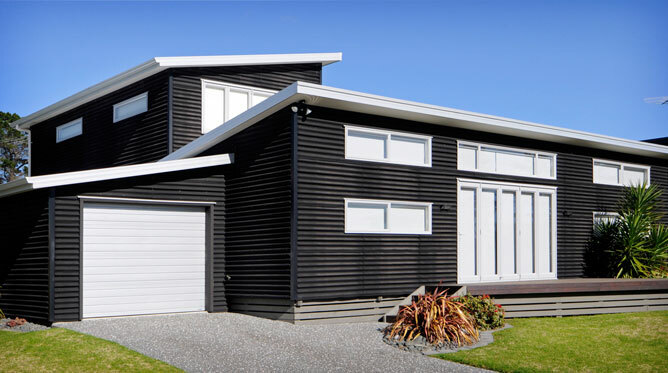 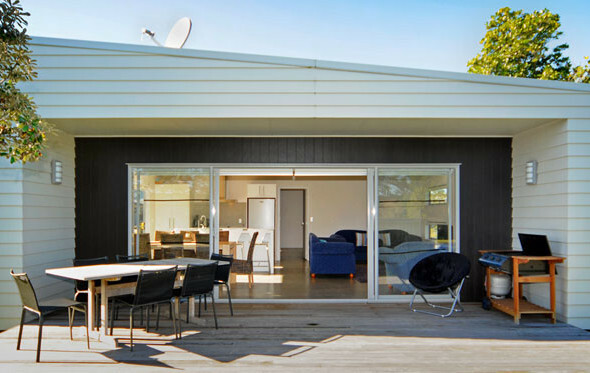 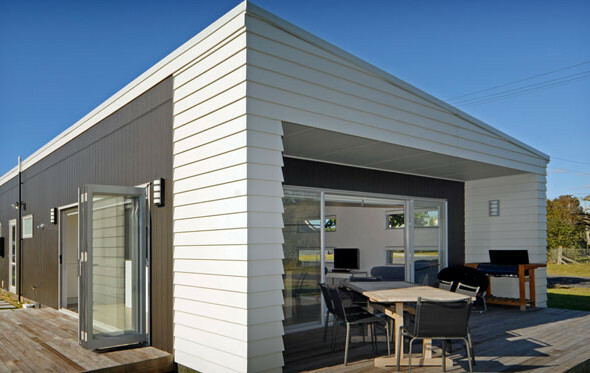 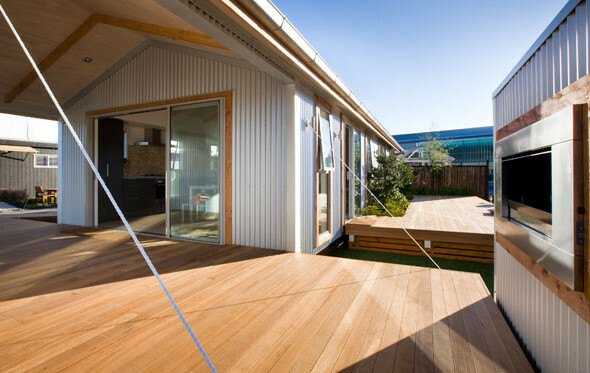 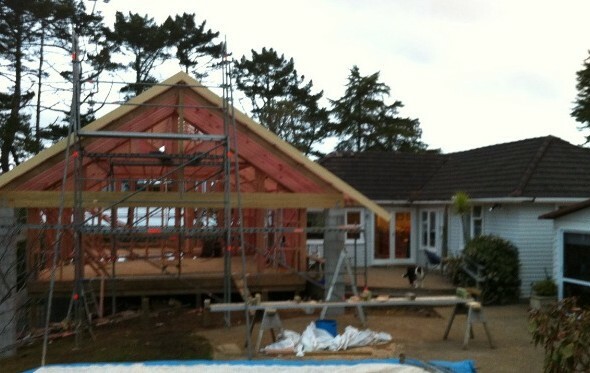 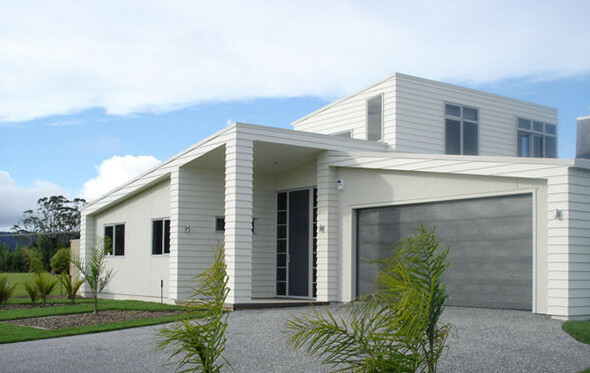 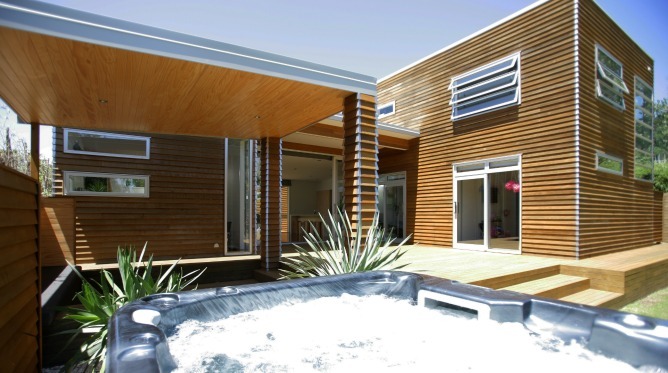 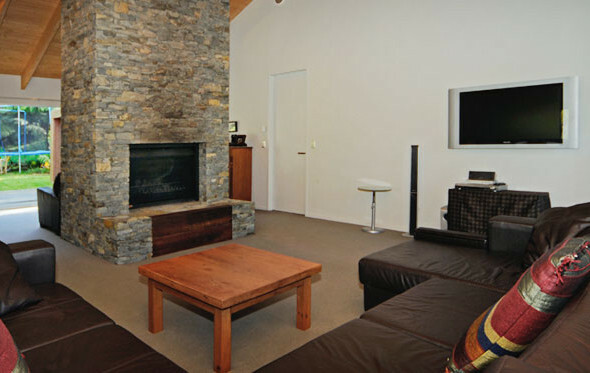 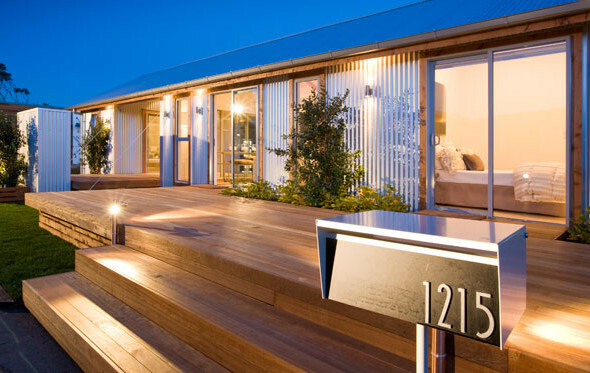 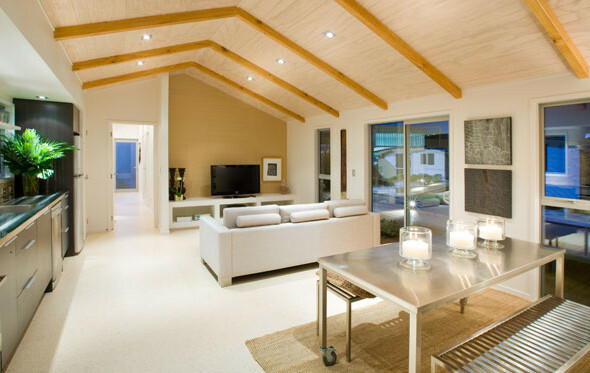 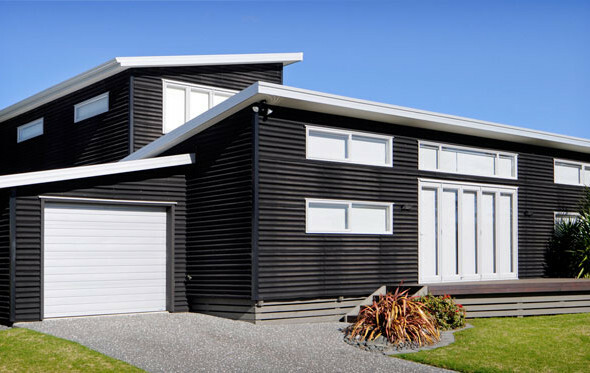 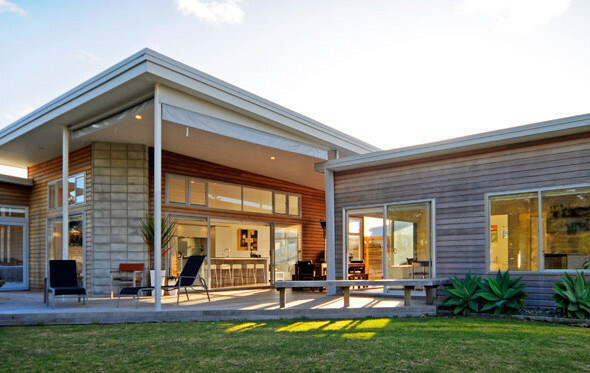 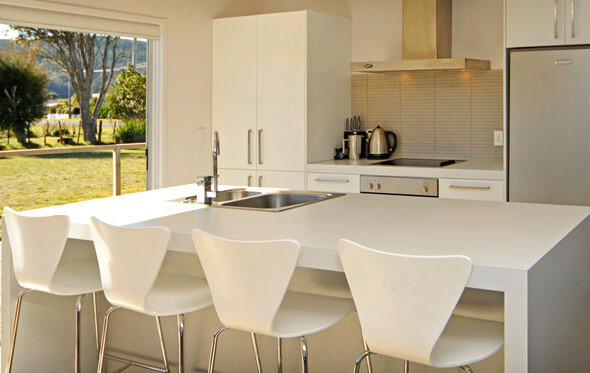 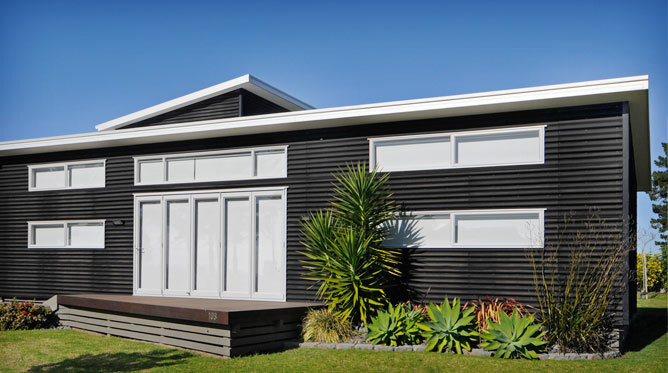 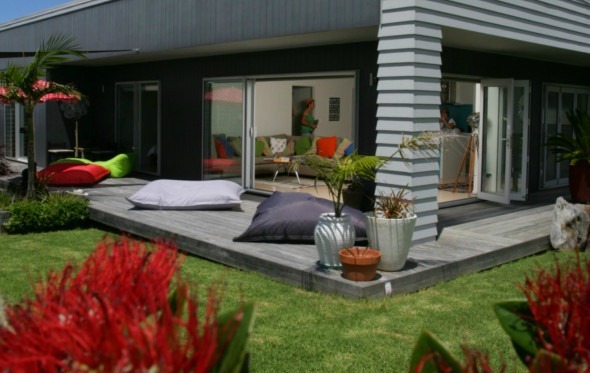 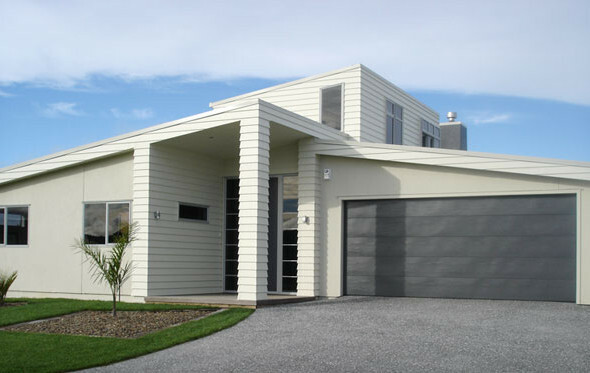 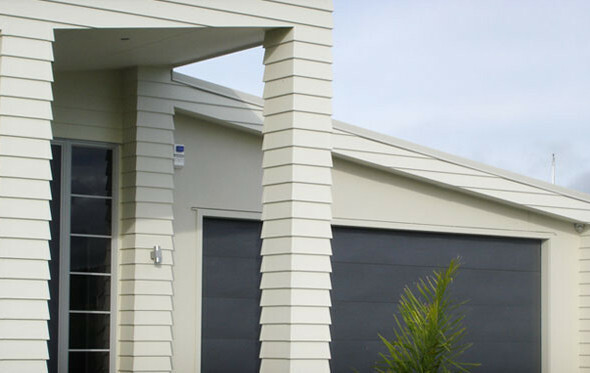 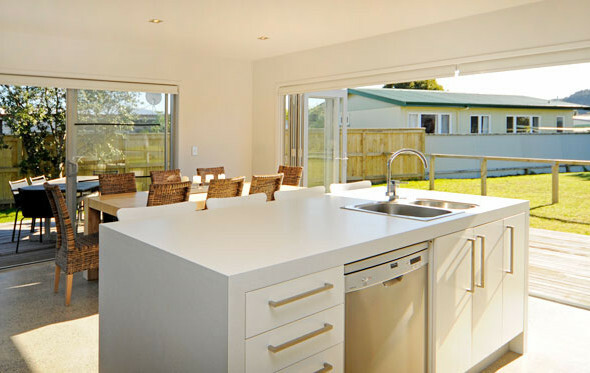 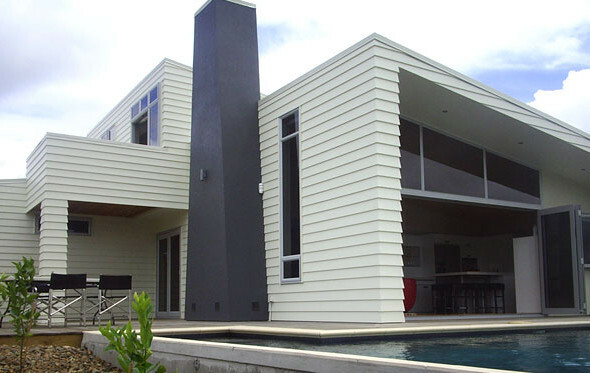 Haven Coromandel specialises in the custom design and build of new residential homes with an emphasis on providing a unique solution for you design preferences, lifestyle and budget. 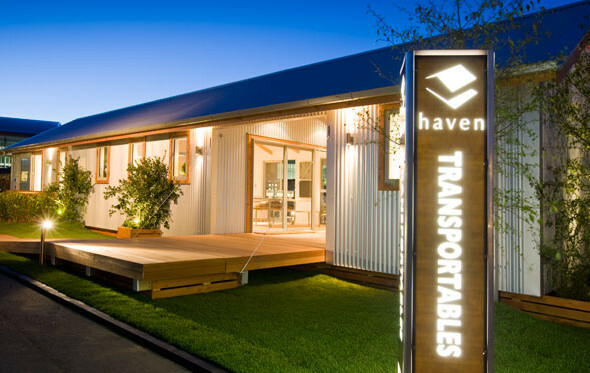 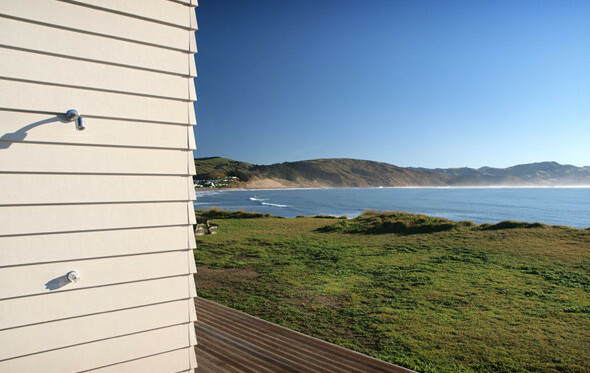 Haven Coromandel services customers in the greater Coromandel area including Tairua, Pauanui, Whitianga, Matarangi, Whangamata and Whiritoa.